Positive character is a muscle that needs to be exercised regularly. We all get busy and with life happening all around us while we simply go through the norms of our regular day. We wake up, do our routine, go about our day, go home, do our routine and go to sleep. Most of us generally try to do GOOD in a day, and we succeed for the most part. However, like physical exercise, eating healthy and improving our mind, it does take a certain degree of work. 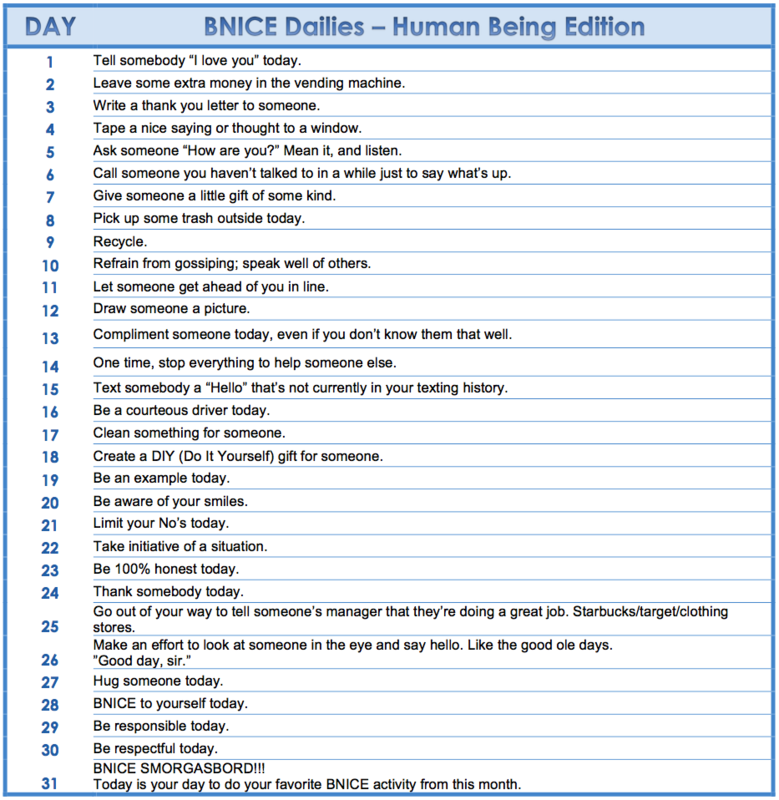 The BNICE iCalender is a super easy way to integrate being nice into your life. The acts of being nice in the calendar are super easy! "Tell somebody you love them today" or "Text a friend who's currently not in your texting history". It's the little effort that will make a huge difference. THREE options are available for you below. 1. HUMAN BEING EDITION which is general little tasks and mindsets to improve your quality of life. 2. PARENT EDITION which is specifically for parents looking to connect more with their child(ren) while teaching a little character in the process. 3. TEACHER EDITION which is targeted for the hard working teachers of the world who would like to also be an even better person. Click the picture(s) that suit you best below to SUBSCRIBE. They integrate right into your iPhone's calendar. Or you can right-click to simply save the picture and just use it as a reference. You can set it for timed reminders or it can act as a reminder when you happen to look at your calendar. Once you subscribe, there's more suggestions in the notes related to that specific day. Pretty neat. If you're a human being and you like to BNICE, this is for you. Might work on Martians as well, but it's not proven...yet. Many parents have told me that it would be great to have something to help them communicate with their child. Sometimes even the best of parents struggle with opening up a dialogue with their child that isn't "How was your day?" 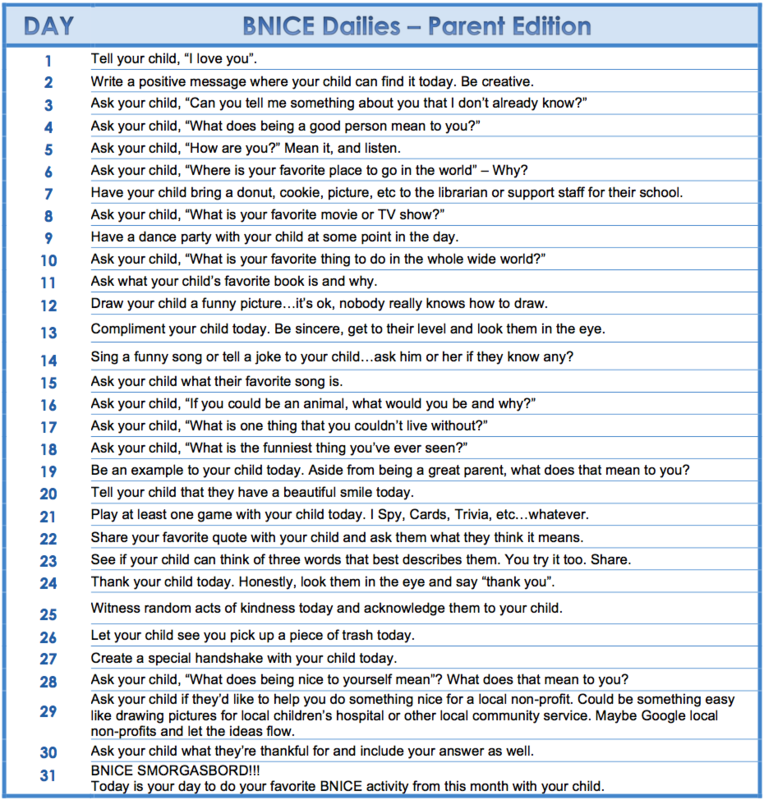 Even if you communicate with your child regularly, this BNICE Daily - Parent Edition is just another tool you can use to strengthen the bond between you, and hopefully build a little character in the process. Your job as a teacher is crazy! You do SO much for your students. People with 9-5 jobs have it so easy. You work evenings and weekends; devoting so much time to the success of your students. It's easy to get wrapped up in the day-to-day hubbub of it all while sometimes forgetting why you got into teaching in the first place. This iCalendar isn't just another set of tasks, it's designed merely as an inspiration and a reminder that what you do truly matters. Rain promotes change and growth. It fuels our land and provides us life. If we exemplified positive character as much as this planet needs clean rain, this world would be a much better place. 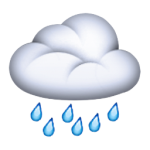 The negative people in the world are like acid rain. They pollute the Earth and ruin our environment. This is why it's so important that we strive to BNICE and "Make it RAIN". We need to create a clean and selfless world filled with love and kindness so our environment can be a positive and happy place to live in. Sure, the park clean-ups and the donating of clothes and supplies to the needy are very important. I'm glad we live in a world where this happens. 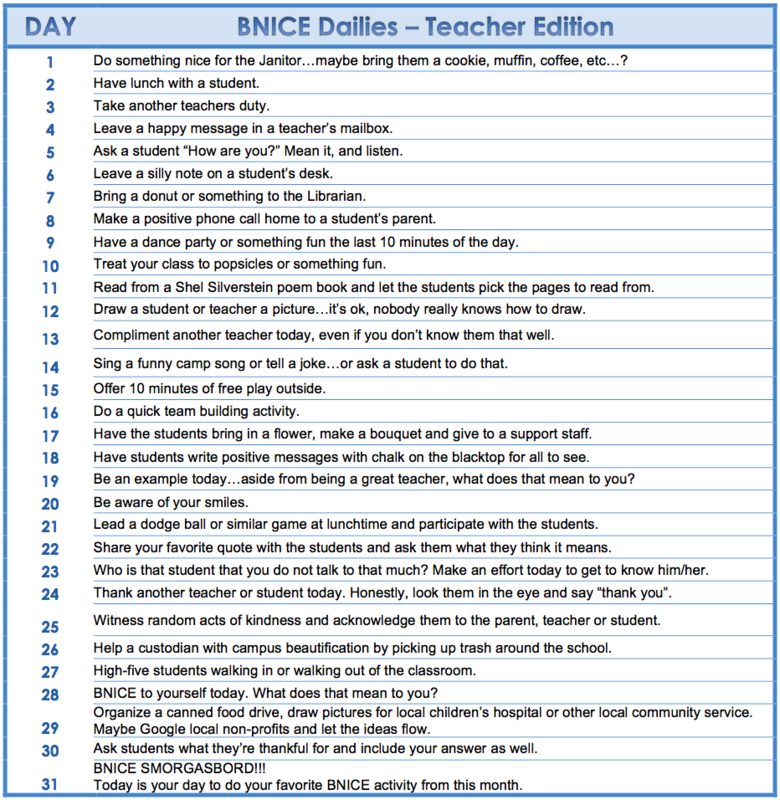 So although BNICE certainly advocates the big acts of niceness, it's MORE about the little things. What can we do everyday to keep us on the right path and stay morally aware? It's the little things, the small acts of being nice that helps us to strengthen our character. The positive little things that we can do everyday will eventually help us to better handle the big things when they come...and there will always be the "big things". There will always be negative people and bad influences streaming through the course of our lives. There will always be situations which might seem impossible to overcome and deal with. PARENT and TEACHER EDITIONS coming soon for Google Calendar.